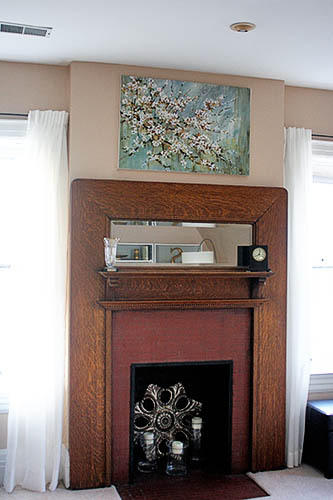 Several weeks ago, I told you about how I scored the perfect artwork for over our fireplace. Only problem... it’s a poster. And while my style is immature in many ways, I still aspire for a little better than “dorm chic”. Comments were split on whether the frame was worth using; even if I painted it, it’d still be skinny. And goodness knows I had quite a few skinny-gold-framed posters in my childhood bedroom in the eighties, so even my new go-to metallic was out. Fortunately, the poster was a perfect 24x36 inches, which is a standard canvas size. 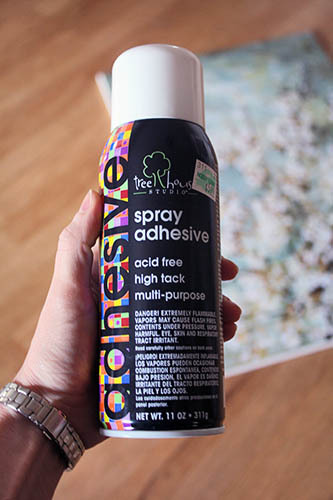 To figure out how to mount it, I read YHL’s tutorial... after I bought this can of adhesive spray. If you actually read YHL’s poster-mounting-on-canvas experience, spray adhesive totally failed, and they used Liquitex mounting medium instead. So, buying spray adhesive = fail. Getting home and realizing I already had a can of the stuff = double fail. Argh. At first I thought I’d give the spray adhesive a try anyway (it was a different brand, maybe it’d have extra sticking power?) until I popped the lid off. Zero point two seconds later the fumey scent hit my nose – I hadn’t even sprayed it! – and I decided there was no way I was using that indoors. Mr. P and I, we need those brain cells for mathing and sciencing. So. Plan B: rummage in my tool/craft/miscellaneous drawer and see what I got. Elmer’s? Ehh. Why not? 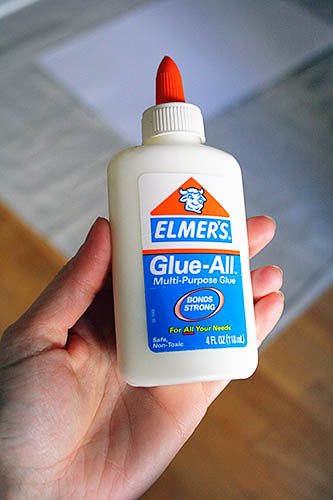 Hey, it says glue-all. I figured I’d give it a shot. 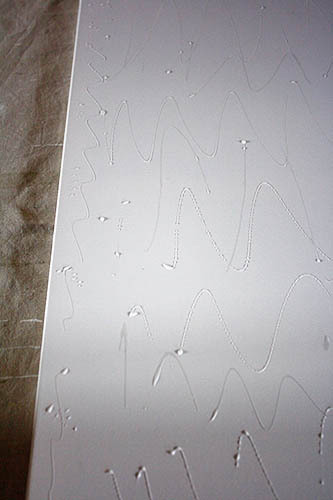 The poster I wanted to mount was fairly heavy-weight, so I didn’t think it would crinkle up with the wet glue. Also, because the poster was on the heavier side, I wanted to make sure it’d adhere well to the canvas. That’s especially important considering the vent in the ceiling directs air flow right over where the mounted poster would hang. Elmer’s, don’t fail me now! At first I made little squiggles of glue around the edge, but I soon gave that up for lightly swooping glue all over the canvas. I debated brushing the glue to thin out any thick globs, but really, at this point I was tired of making decisions. I carefully stuck the poster and scooched it around until it was perfectly centered. I knew there was a reason we hauled those heavy texts all the way from Tennessee. It’s surely not because we read them! Fast forward through the glue drying and tapping a few nails in the wall, and voila! Yes! Yes yes, that is what I had in mind for this spot! So much better than the black frame. 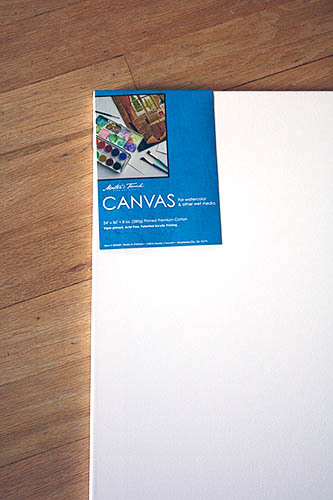 A faux painted canvas looks like it belongs on a canvas. DUH, SARAH. I worried a bit about the gluey bumps, and yes, if I run my hand over it, I can feel a few “flatter” spots where the glue was a bit thicker and the poster adheres more tightly. But you really can’t see those spots, even if you look hard. I think if the poster had a lot of solid colors and there was an unfortunately-placed glob of glue right in the middle of a solid color, you might be able to see it. But for a detail-busy poster like this one, you can’t see a thing. It looks perfectly smooth. With plain white glue! That I think I purchased a decade ago! It’s holding quite well, too. The mounted poster has been up there for two weeks now, vent blowing on it and all, and so far, so good. I’m leaving them white, at least for now. I thought about painting them blue to blend in, even before I mounted it (because it’d be easier to paint without the poster there in the way). But really, I kind of like the white around the edges. 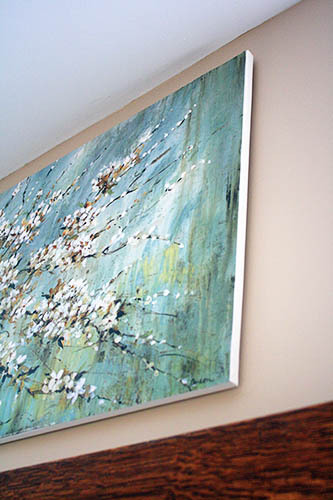 It looks a bit modern and helps the painting “pop” off the wall, rather than looking flat and blending in. Maybe someday I’ll decide that’s crazy talk, but for now, they’re staying white. And that’s it! 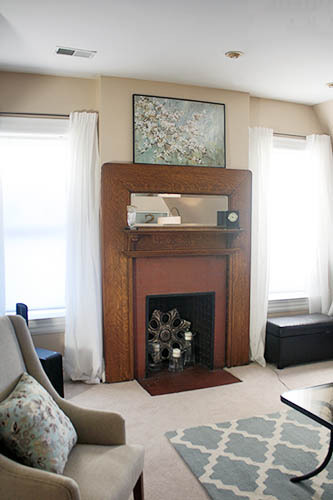 Total cost for this over-the-fireplace art? Eighteen for the poster and twenty for the canvas, so I invested less than forty bucks and an hour. I paid about thirty-five bucks apiece for the twin artwork in the bedroom. And honestly, the print itself is so perfect for this room that I think I’d have paid more than forty bucks for it... but keeping it cheap always makes me appreciate an object more. So there you have it – a grown-up version of poster art on the wall! If you find your perfect poster, hopefully this helps you enjoy it without feeling like you’re making the design decisions of an eighteen-year-old. 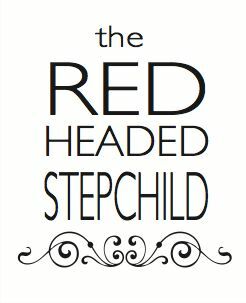 PS: On a completely unrelated note, today is Mr. Fred Roger’s birthday, and this article (on a normally snarky swear-filled website) made me happy-cry when I read it last weekend. So, perhaps take a moment to read it and do something good in memory of our neighbor today. OH! I really like the mounted poster. I'd go with white edges too. Nothing wrong with them. Looking good Sarah! Brilliant! I never would have thought of mounting it on a canvas. 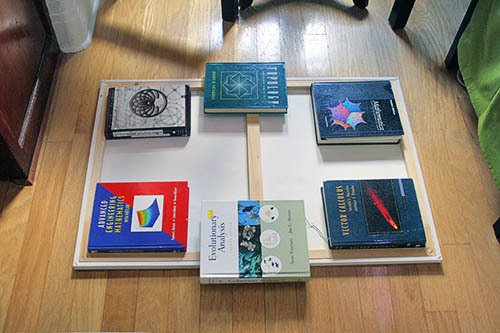 Found your site while researching the possiblilty of mounting a poster to canvas. 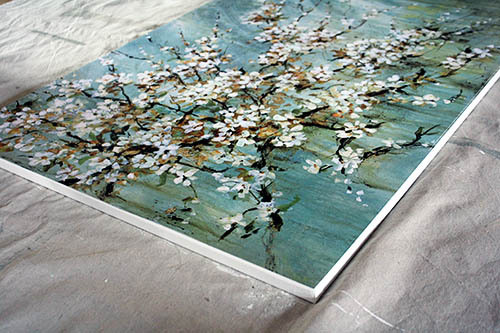 I too love the Van Gogh blossom print but I am looking for a poster that is IDENTICAL to what you have! I found it mounted much larger at BED BATH AND BEYOND for $99. But If I too can find the poster I can save so much money! Thanks for posting, it looks great! @Jamie, thanks for letting me know that I saved us $99, haha! I found the poster at Hobby Lobby, and I've already kicked myself for throwing away the label with the names of the title and artist without noting them. I'm sorry I can't be more helpful! Next time I'm in Hobby Lobby, I'll flip through the posters and see if I can source it.